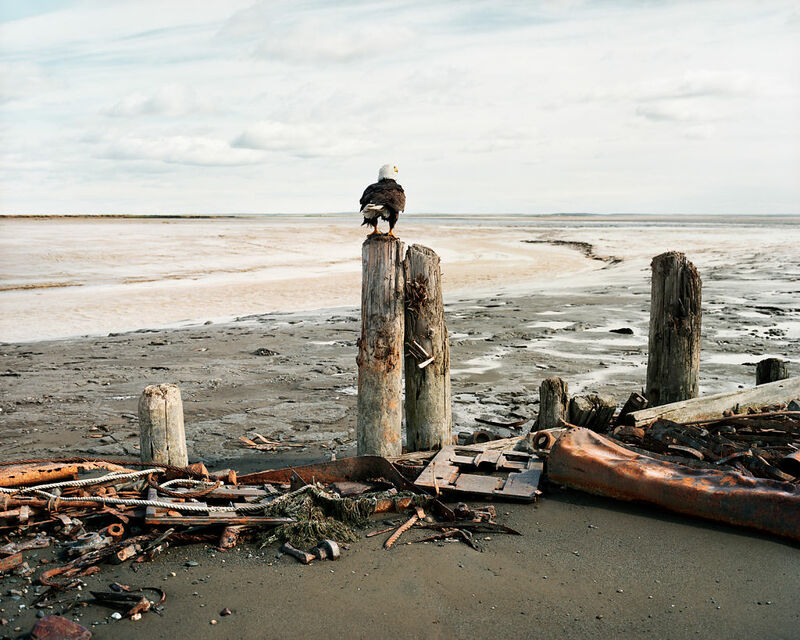 Deep in Southwest Alaska, surrounded by mosquito and grizzly bear infested tundra, lies an abandoned salmon cannery known locally as Graveyard Point. The cannery sits at the mouth of the Kvichak River, one of the five rivers that empty into Bristol Bay, home to North America’s last great sockeye salmon run. During the months of June and July, about 130 commercial fishermen from around the country converge there to set up seasonal fishing residences in broken down dormitories and dilapidated shacks that have sat empty for decades. Old coffins from the point erode into the sea and the bones of unnamed fisherman collect at the tides edge. Dogs roam the beach chasing bears and four wheelers. The fishing work happens at a furious pace when tens of millions of sockeye salmon arrive within the same couple weeks every year on a mission to spawn. Men and woman work 20 hours a day pulling nets by hand from small open skiffs. In the end, great fortunes can be earned or lost, depending on the fisherman’s skill or luck and the avoidance of injury. I found my first work as a commercial fisherman near here in 1995. Today, I operate a set gillnet skiff and make my living picking fish at Graveyard Point. The photographs are a visual journal of my experience living here. Graveyard is a very unique and special community of characters who’s future is threatened by the upstream discovery of a massive copper and gold deposit. The Pebble Mine and its toxic tailings, if built, could eventually decimate the wild salmon population forever.